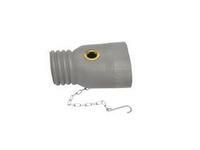 Everything you need to safely ventilate dangerous exhaust fumes in your home garage or a large commercial garage facility. 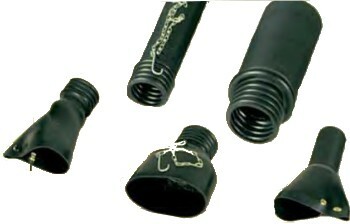 Remember if you work w/2" pipes you will need to order the 2 1/2" hose products and 3" if your pipes are 2 1/2" OD. Hook and chain holds them in place. 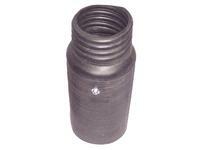 Protects the hose and tailpipe. 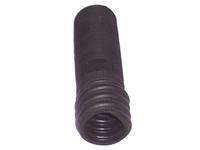 Always select an adapter with at least 1/2" diameter clearance around the tailpipe. 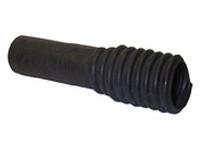 Crushproof Exhaust rubber hoses / Garage Exhaust Hose offers solutions for vehicles of all sizes and types, from small gas hybrid cars to diesel semi trucks with 8" OD stacks. 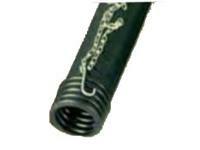 Along with the standard tubing we also provide replacement reel and dynamometer hoses, telescoping units, and a complete line of adapters, connectors, Y-assemblies, and door ports to properly outfit almost any garage. 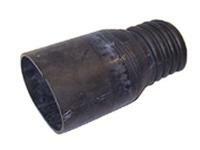 Diesel Stack Tailpipe Adapter Up To 5-1/2 Inch Tailpipe. 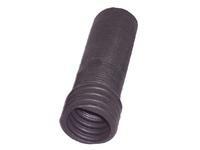 Fits 4 Inch and 5 Inch ID hose. 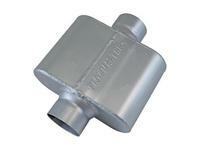 Crushproof F400 Straight Tail Pipe Adapter for use with Crushproof garage exhaust hoses.